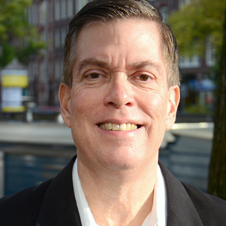 Roger Dooley is the author of Brainfluence: 100 Ways to Persuade and Convince Consumers with Neuromarketing, and writes the popular blog Neuromarketing as well as Brainy Marketing at Forbes.com. He is the founder of Dooley Direct, a marketing consultancy, and co-founded College Confidential, the leading college-bound website. That business was acquired by Hobsons, a unit of UK-based DMGT, where Dooley served as VP Digital Marketing and continues in a consulting role. Dooley spent years in direct marketing as the co-founder of a successful catalog firm and also was director of corporate planning for a Fortune 1000 company. He has an engineering degree from Carnegie Mellon University and an MBA from the University of Tennessee. Dooley is currently focused on spreading his ideas through writing and speaking, with limited engagements for training, coaching, and facilitation.